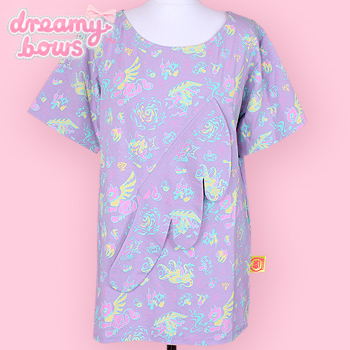 This eye popping, colourful cutsew top is super easy to wear and extremely comfortable. 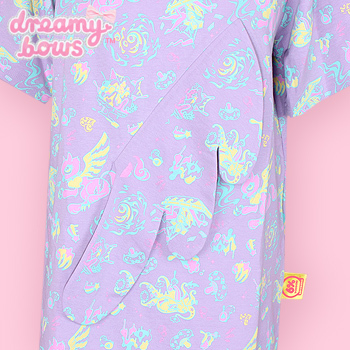 The print features wacky images of griffins, sundae's, mushrooms, pirate ships and even an octopus! 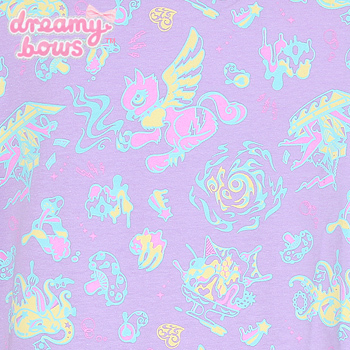 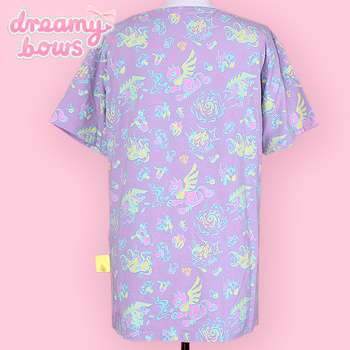 This unique top features a melty piece attached to the front of the top and underneath it is a pocket where you can use to hide your valuables or tuck the melty design away. 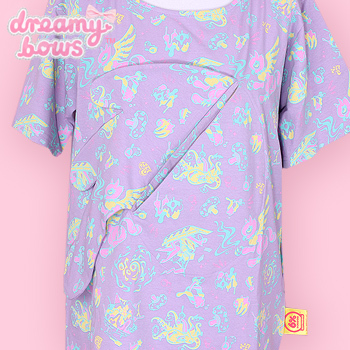 This cutsew tee would go perfectly with the 'Heart Zip' range where you can unzip the top and let the melting piece hang out! 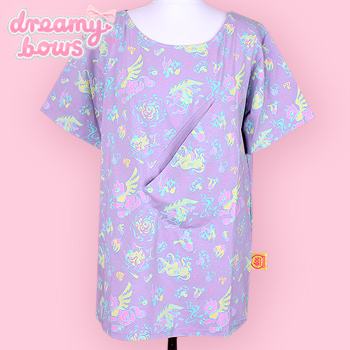 This cutsew top is under the 6%DOKIDOKI Boyfriend range which means it can accommodate bigger sizes as it's loose fitting!